So this month’s BOM is Dutchman’s Puzzle. It consists of 8 flying geese units. There are so many different methods for making flying geese units and everyone has their favorite. Also the internet is full of tutorials for different techniques and rather than try to replicate each of them I am going to provide two different links that I found with a variety of ideas. Your fabrics should be white for the outside of the units. Use a color of a spring flower for the inside of the geese units. 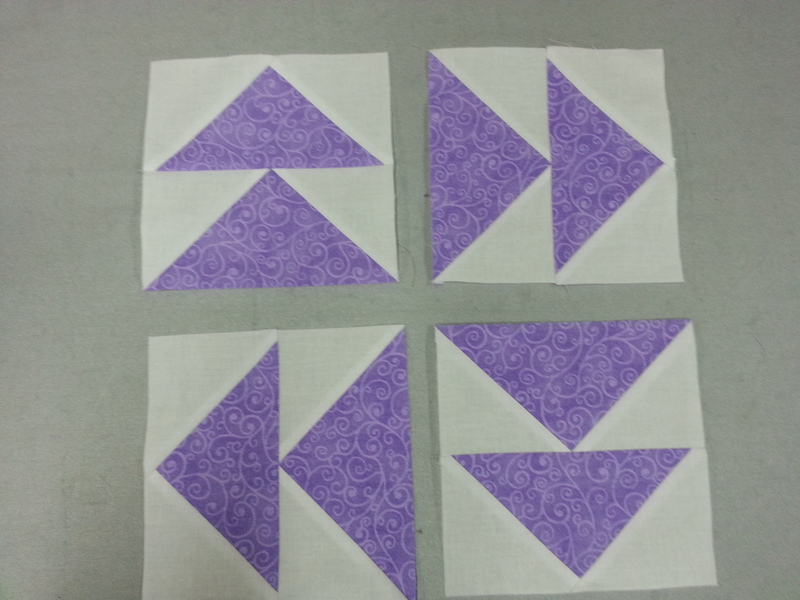 Choose your favorite method and make 8 geese units that are 3″ x 6″ (finished). Piece them together as shown below.